A version of this article was originally published December 2016. One in eight couples experience infertility. You probably know one. They might even be on your holiday list. And though you’re trying to be empathetic and encouraging, it’s important to be careful about the message your gift might send to a couple struggling with infertility. Too often, well-meaning gifts end up causing pain and frustration for the gift-receiver. With anyone going through a life crisis, as infertility truly is, it’s a tough balance to show you care when you don’t completely understand the experience they’re going through. Yet, it’s so thoughtful for someone to want to give a meaningful gift of support. In that spirit, here are some holiday gifts you should avoid giving someone going through infertility, as well as tips for what you should give. You’ve probably given your friend pep talks during the struggle they’re going through. The holidays are not a great time to further that pep talk with an “infertility support” or “hope” related presents. Although well-intentioned, items like hope stones or a piece of jewelry that says ‘believe’ are not the way to go. Someone struggling with infertility knows that they need a lot more than just hope to achieve their goals. This type of gift can be interpreted as downplaying the seriousness of their medical condition. The possible exception to this is if they know you’ve been through the same struggle. Otherwise, they don’t want this type of gift from someone who doesn’t completely understand what they’re going through. The gift may just become a reminder of gap between the two of you. You may think getting a gift that your friend can use when they get pregnant are a great way to show your faith in their journey. A calendar that tracks pregnancy or a cute onesie that says “worth the wait” might seem sweet,, but really it’s a painful reminder. Think about it – when they receive this gift, there is nothing they can do with it. They might hide it in a dark corner of their home so they avoid a daily reminder of their struggle and grief. 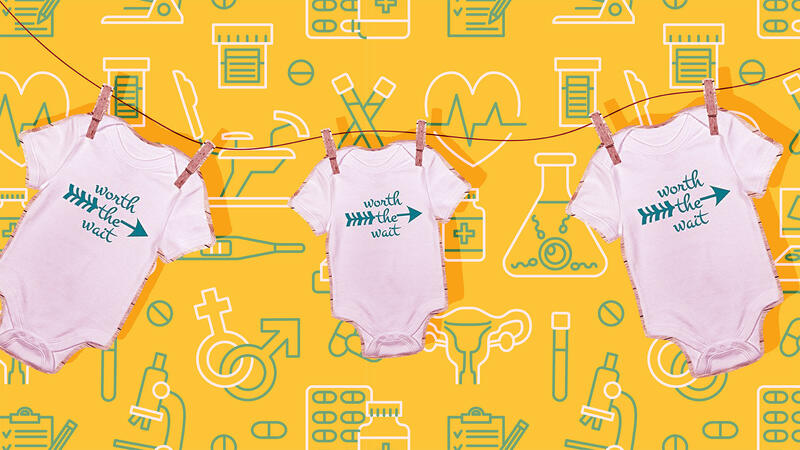 Someone struggling with infertility may buy these items for themselves, but when they receive them from someone else, they often just feel misunderstood. There will be plenty of time to give these types of gifts once they have built their family successfully. But when they’re in the midst of the infertility struggle is not the right time. Yes, of course you want to help, and these books might seem like the way to do it. But trust me – your friend realizes they are sad. They fully understand they are not the same person they used to be. They are likely aware of the changes in their life, like avoiding social functions and distancing themselves from friends and family. This knowledge of how they have changed during infertility makes them even more sad. To realize that other people see it too is just too much. Plus, they’re too busy reading everything they can get their hands on about their family building journey to read anything else. Reading a self-help book is incredibly low on the priority list. A gift card to your favorite bar for a night out with drinks. A complete friend date night with dinner out and a funny movie. A spa package for a day of relaxation. An activity that’s outside their typical comfort zone like go-cart racing, bowling or an art or cooking class. These types of activities require their concentration, so they’re forced to get their mind off their troubles. Try to give them any gift that will take them out of their normal routine. An activity that involves spending time with you is the best gift of all. Nicole Witt is the owner of The Adoption Consultancy, an unbiased resource serving pre-adoptive families by providing them with the education, information and guidance they need to safely adopt a newborn, usually within three to 12 months.